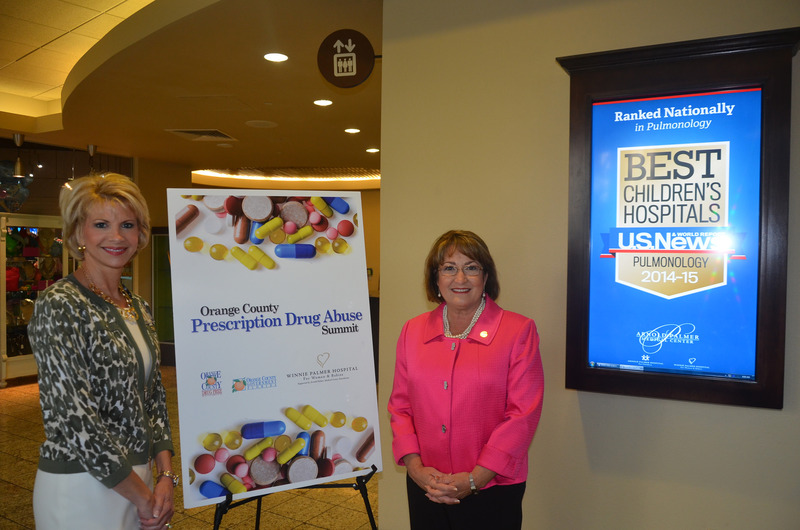 Mayor Jacobs recently convened the first Orange County Prescription Drug Abuse Summit, which focused on Neonatal Abstinence Syndrome and was created following Florida Attorney General Pam Bondi’s Statewide Task Force in Orlando in October last year. Orange County currently ranks third in the reported number of babies withdrawing from drugs in the state. Consequently, the Summit was held at Winnie Palmer Hospital for Women and Babies, which boasts the largest neonatal intensive-care unit (NICU) in the area and is a national leader in treating infants born with addiction issues. One of Mayor Jacobs’ first initiatives was tackling this issue head on. In July 2011, she formed the county’s first Prescription Drug Task Force to address the escalating problem of prescription drug abuse in Orange County communities. A collaborative effort of law enforcement, healthcare and pharmacy working with education and public policy, the task force examined the extent of the prescription drug problem, conducted a review of state legislation and local ordinances and determined the need for substantive regulations for pain management clinics through a collaborative, multijurisdictional effort. Mayor Jacobs closed her remarks by introducing Florida’s Surgeon General and Secretary of Health, John Armstrong, M.D., who has championed the use of innovative technologies along with “old-fashioned accountability” as a means of boosting public health for all Floridians. The rest of the Summit featured panel discussions from local and national law enforcement officers, government administrators and physicians on the impact of new drugs, law enforcement trends and treatment and community resources. For more photos from the Orange County Prescription Drug Abuse Summit, visit the Flickr album.